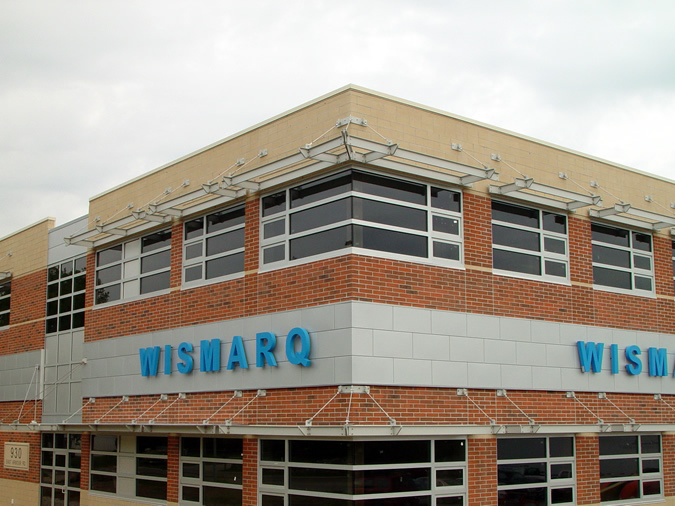 The new WISMARQ Building in Oconomowoc, WI is an example of a subtle use of Dri-design Architectural Wall Panels on a mostly masonry building. The Dri-design Panels are .080" aluminum painted custom silver as selected by the Owner. Panel layout is a funning-bond pattern. 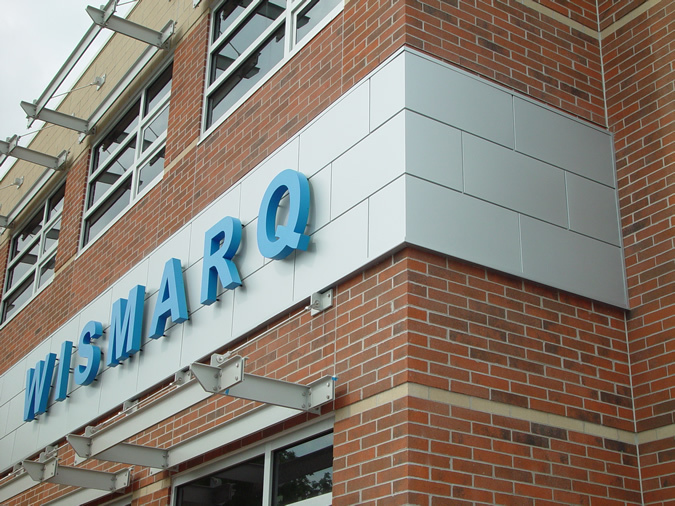 90 degree bent corner panels have been were used to enhance the panel joint lines. 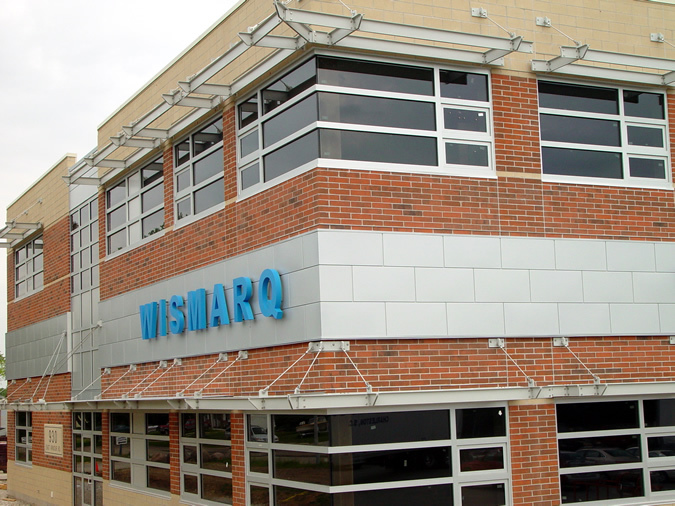 The project is a outstanding example of Dri-design's unlimited color selection for matching other metals such as window frames and sunshades.